Do chia seeds deserve the health hype? If your first thought is “Chia Pets” you’re kind of right. Edible chia seeds (Salvia hispanica) are a cousin of the seeds (Salvia columbariae) you once used to grow a crop of green hair atop your clay “pet.” If you’ve never seen or tried them before, chia are small round seeds—ivory to charcoal colored—that dissolve a bit and form a gel when mixed with liquid. For this reason, it makes a creamy addition to oatmeal and are sometimes used to make pudding. Or you can sprinkle them on salad or yogurt as a slightly crunchy, nutty topping. Now to the health aspect. 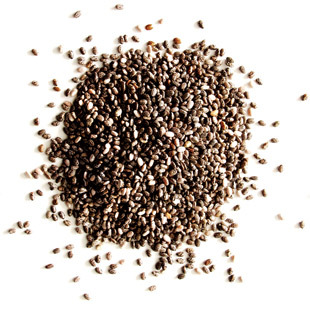 Because chia absorbs water easily, it is easy on sensitive stomachs, according to David C. Nieman, M.P.H., Dr.P.H., of Appalachian State University. “Some other seeds, like flax, are harder to digest because they have more lignan, a tough fiber,” says Nieman. And chia does boast a lot of fiber—4 grams per 1 tablespoon (women need 25 grams of fiber each day, men need 38). My friend was right, it does contain omega-3 fats: 1 tablespoon delivers 1.75 grams of the alpha-linolenic acid, the plant-based omega-3 that has been linked to heart health. For comparison, flaxseed provides 2 grams of ALA per tablespoon. Chia also provides a little protein (2 grams per 1 tablespoon), antioxidants and even some calcium and iron. Related: How Much Fiber Do You Need If You’re Trying to Lose Weight?